While depression can be devastating to both men and women, there are differences in the way that the sexes respond to depression medications. A study carried out to look at these differences found that women who suffer from depression could have a better chance of obtaining relief from a frequently prescribed antidepressant known as citalopram. Researchers initially looked at how citalopram helped depressed patients to find complete relief from their depression symptoms – known as remission. After analysing the data from nearly three thousand men and women, researchers found that women were 33 percent more likely to obtain remission than men. The participants had been suffering from depression for years and the average time span for a participant was twelve years of depression. The interesting aspect of this result was that the women who took part in the study were assessed as being more severely depressed in comparison with the male participants. However, in terms of side-effects there weren't any differences between the men and the women. The actual time span for achieving remission didn't vary from men to women either nor did the amount of time the participants remained on the citalopram. 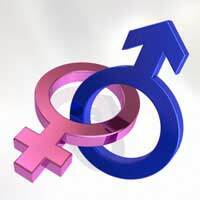 The research contrasts with older research and studies that have suggested there isn't any difference between men and women in terms of how they respond to different antidepressants. Still, given the variation in evidence on the issue, this new study is a much larger one and is thought to be credible. Researchers also controlled for other factors, which means that the study is considered an accurate one as well. Researchers concluded that these differences between the sexes represent a biological mechanism at work. In turn, antidepressants exert an influence in different ways, depending on which gender takes the medications. Researchers aren't quite sure what this biological difference is but they hope that more research will investigate the differences in greater depth. In particular, it is suspected that there is a hormonal factor at work. This new study highlights the importance of understanding and taking into account gender differences and how each gender responds to a drug. Physicians will need to be aware of these differences when prescribing drugs as well as when they monitor patients for their response and any improvement. It is always a challenge to find the right treatment for each patient because people respond so differently to antidepressant therapy. What works wonderfully for one patient can wreck havoc with another – being ineffective or making that patient ultimately feel even worse. Finding out the many factors that influence how each patient might respond is a positive step in improving outcomes from antidepressant therapy. If a person is not responding well to the drug, they may need to try a new one or a physician may need to recommend additional measures such as counselling therapy. The ultimate goal is to understand all of the factors – including gender – that can influence how effective antidepressant therapy is for treating depression.